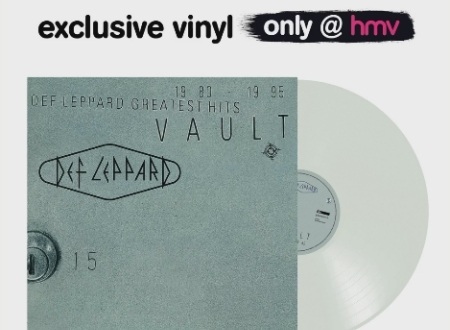 The HMV chain of stores in the UK are holding their annual Vinyl Week in June and Def Leppard will be part of it. On 16th June a new limited edition clear vinyl version of Vault will be released. The clear vinyl will be limited to just 1,000 copies and only available in HMV stores in the UK. Also released next month are the CD/Vinyl Collection: Volume 1 box sets on 1st June.